This acrylic template is just what you need to start your English Paper Piecing project. 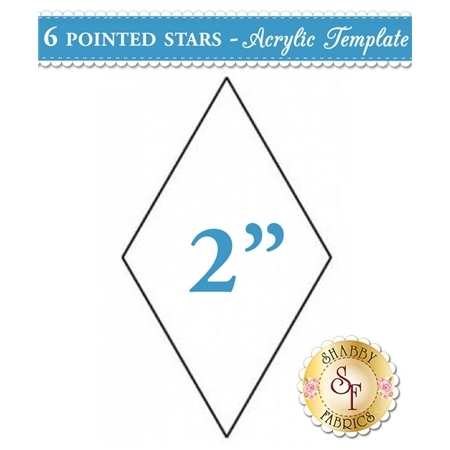 By Busy Finger Patchwork and Sue Daley Designs, this 2 inch template helps you create a 6 point star. It features both holes and dash lines to indicate your quarter inch seam allowance as well.